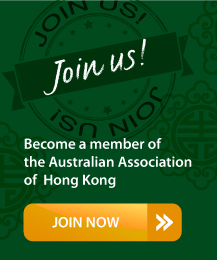 The Australian Association of Hong Kong is a non-profit organisation with activities that are organised and overseen by active volunteers who participate in a management committee, social committee and various event-specific committees. The Association is committed to creating opportunities for the Australian community and their friends to get the most out of Hong Kong. We welcome volunteers to help within the Association. No special skills required, just your time and enthusiasm. From helping to arrange events, lead activities, or help with our social get togethers your support will be greatly appreciated.